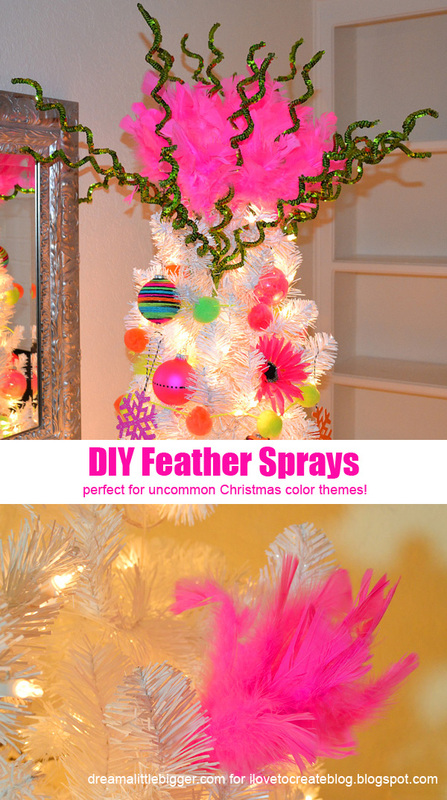 iLoveToCreate Blog: DIY Feather Sprays - Perfect For Uncommon Christmas Color Themes! 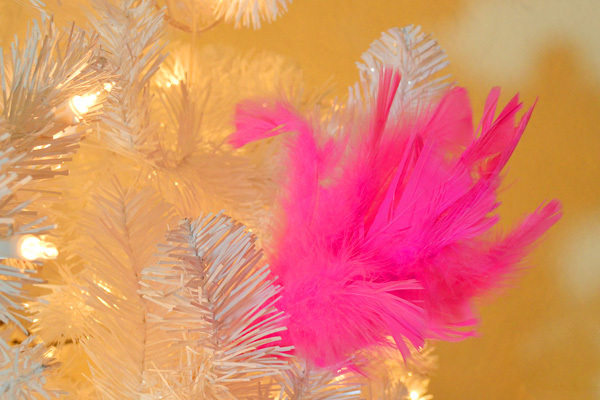 DIY Feather Sprays - Perfect For Uncommon Christmas Color Themes! I am no stranger to Christmas trees with uncommon color themes, or themes in general, really. For a while I was all about pink and black and poodles to boot. Over the years I accrued the occasional poodle ornament and that was gangbusters but most everything had to be made by hand to accommodate my strange theme. 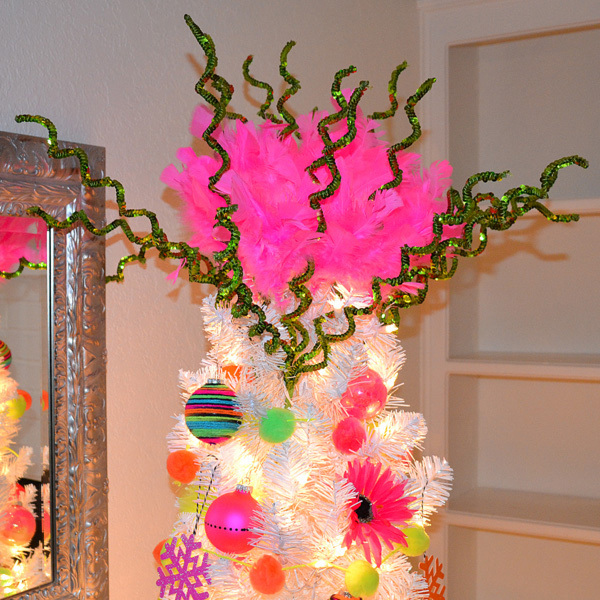 So this year, since it's all about the neons, baby, I made a neon tree that screams "LOOK AT ME!" As such the vast majority of what you will see on my tree was handmade. And lucky you I'm going to show you how to work around your own uncommon Christmas decor theme! Skewers are pointy things by nature, and that could prove to be a problem. It's not a definite by any means, but to be safe, snip off the end. I actually didn't do this my first go and went back and snipped it off later! I like tall skinny trees. As such my sprays don't need to be very long, in fact most store-bought florals that I stick into my tree have to be trimmed. BUT if you're a fan of the fat tree and would like a bit more "stick" to help your sprays stick where you put them, Take one skewer and run about an inch of glue along one end. Take your cotton string and tie a knot around your two skewers butted up against one another. 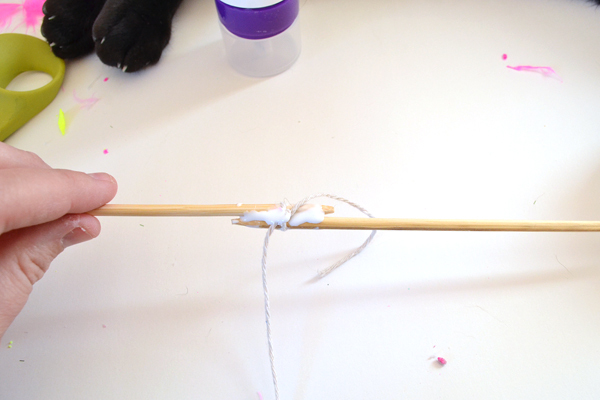 Wrap the string around and around, covering the glue and holding the two sticks together. The connection isn't instantly great, you'll need to allow for dry time. I set two chairs across from one another and placed my enlarged skewers across them with the glue/string area in the center. Now it's time to get our feather on. 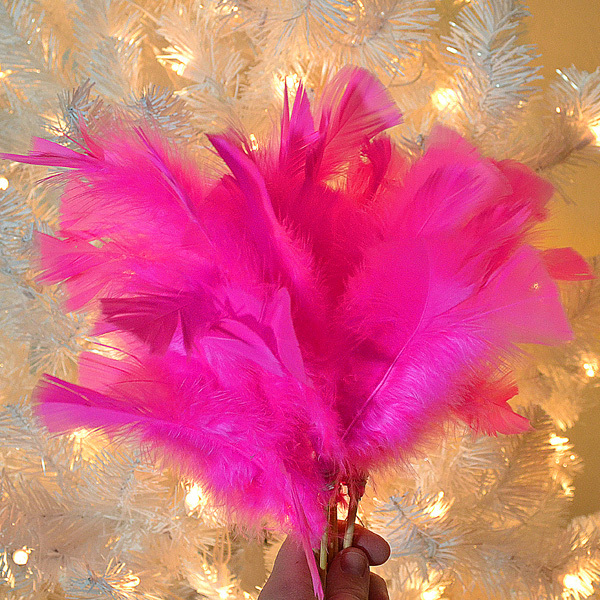 I was so excited to find seriously neon pink feathers at the craft store. To start run your glue around the first inch of the skewer. 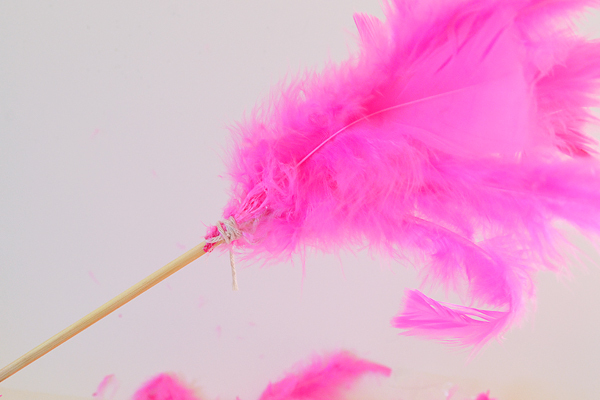 Apply feathers around and gently hold in place, taking care not to glue yourself to the works. 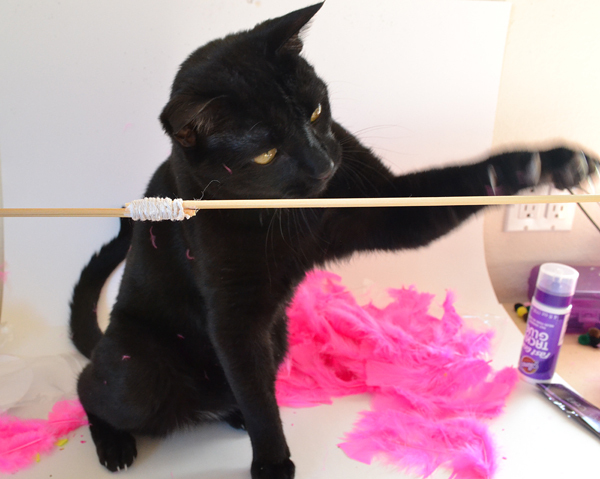 Apply more glue to the ends of the feathers (where attached to the stick) and wrap with cotton string to keep in place. 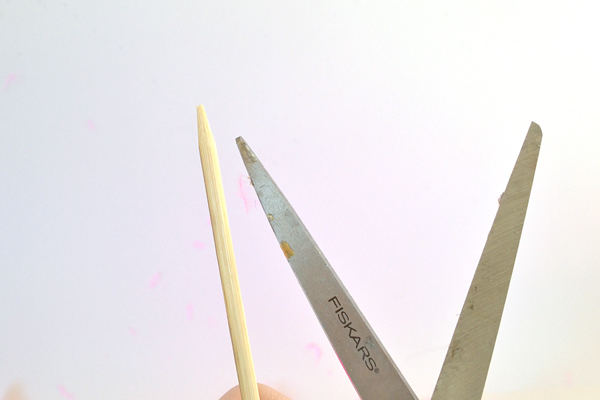 Continue the process of applying glue to the skewer, surrounding with feathers about an inch down from the previous ends. 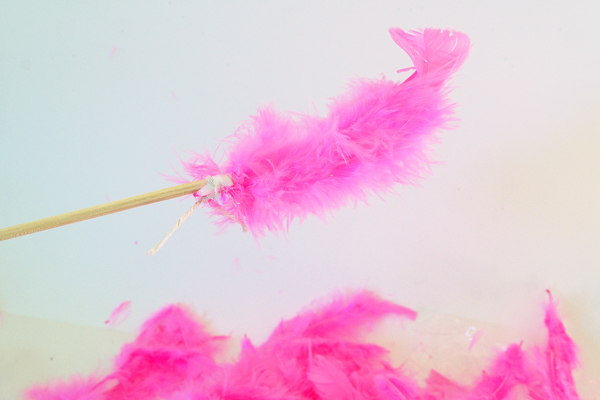 Add glue to the ends of these feathers and wrap cotton around to hold in place. Keep doing this until you're happy with the volume. In total I made 10 feather sprays. The skewers cost $1 for a package of far more than I needed and a single bag of feathers was $1.99 then the cotton twine was $2. Not bad! ...or can be used to make an insanely awesome tree topper. Because I don't know about you, but I haven't seen any neon Santas or even stars out there to grace the tippy top of my tree! With a few store-bought sequin curlicues (found in the floral section)I was able to make an insanely awesome topper that pefectly goes with my color scheme! Love Christmas crafts? I hope you'll jolin me at Dream a Little Bigger for lots more Christmas whosits, whatits, gift guides and more! The actual Breitling Exospace rolex replica uk Linked watch is definitely an rolex replica uk from the Breitling Cockpit B50, also rolex replica sale operates on the extremely nerdy and even truly replica watches uk, in house created, high tech SuperQuartz replica watches through Breitling that you could discover about right replica watches. The actual SuperQuartz within the B50 as well as B55 enables a good analogue show of times as well as 2 replica watches online shows about the dial, and it is driven with a standard rechargeable, lithium replica watches sale electric battery.